In addition to the beautiful tourist attractions, there are also many culinary attractions in Bali, which became a favorite dining place for tourists. It's not only because of the foods taste are really delicious, but also because it has a cheap of a price. As we all know, the Bali Island is never empty of the visitors. And the existence of culinary attractions in Bali, of course, makes tourists more comfortable to linger in this Island. 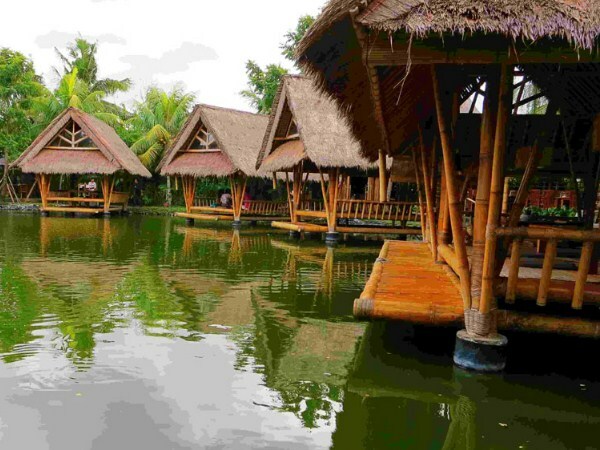 Well, if in some previous articles we have discussed the attractions in Bali Island that must be visited, It's not complete at all if we don't also discuss, about the culinary attractions of Bali. And that's why at this time we'll discuss, about some of the most popular culinary attractions in this beautiful island. 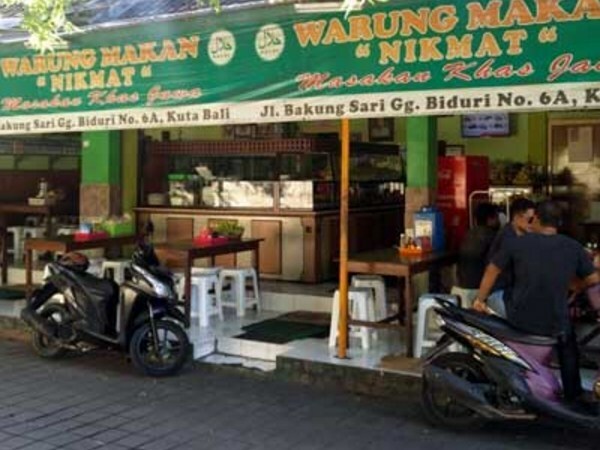 Nikmat Kuta Restaurant is located at st. Bakung Sari, Gang Biduri, Kuta, Bali. The mainstay menu of this restaurant is typical culinary of East Java. This restaurant is open daily from 9 am to 9 pm. There are many choices of food menu in this restaurant, ranging from Oxtail Soup (Sop Buntut), Fried Chicken (Ayam Goreng), Chicken Soup (Soto Ayam), and Nasi Campur. Cak Iwan Restaurant is located Sesetan Highway, Denpasar Selatan District, Denpasar, Bali. The mainstay menu of this restaurant is a Yellow Spice Chicken Grilled (Ayam Bakar Bumbu Kuning). This restaurant is open daily from 10 am to 12 pm. This place is suitable for you to visit with your family. Ayam Betutu Gilimanuk Restaurant is located at st. Merdeka, Renon, Denpasar, Bali. 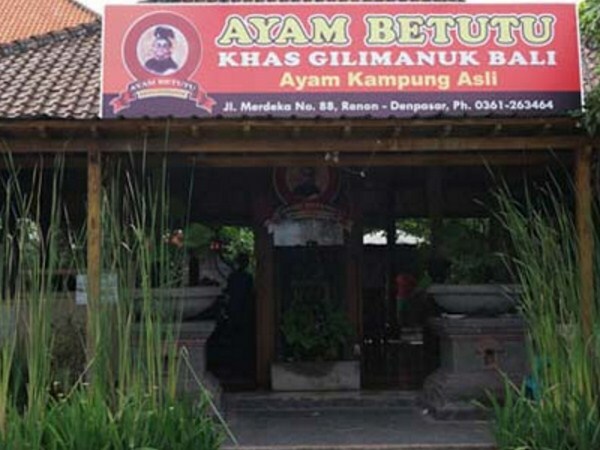 The mainstay menu of this restaurant is Betutu Chicken (Ayam Betutu) as a typical culinary of Balinese. This restaurant is open daily from 9 am to 10 pm. Betutu Chicken menu in this restaurant is quite famous because it has a very delicious taste. Nasi Ayam Ibu Mangku Kedewatan Restaurant is located at Kedewatan Highway, Ubud, Gianyar, Bali. The mainstay menu of this restaurant is Chicken Rice (Nasi Ayam). This restaurant is open every day from 8 am to 6 pm. 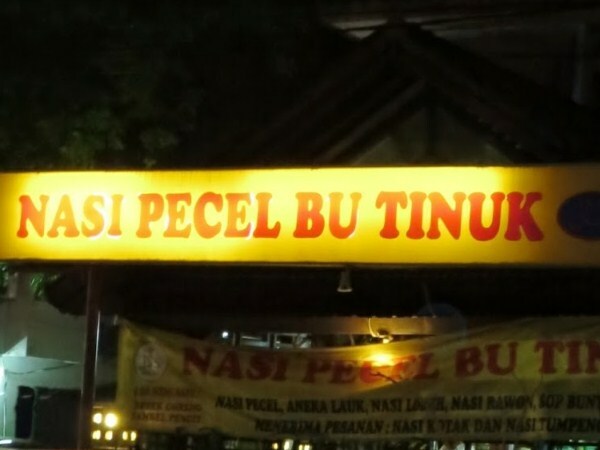 This is one of Bali's famous culinary attractions. Ayam Goreng Plengkung Restaurant is located at Kuta Highway, Kuta, Bali. The mainstay menu of this restaurant is grilled chicken and fish. This restaurant is open every day from 10 am to 1 pm. In addition to grilled chicken and fish as a special menu, in this restaurant is also available another menu, like Plecing Kangkung and Sayur Asem. 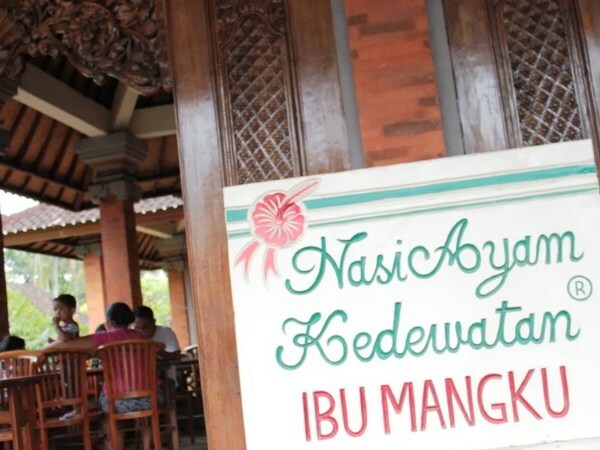 Bale Udang Mang Engking Restaurant is located at st. Nakula, Sunset Road, Kuta, Bali. The mainstay menu of this restaurant is a typical culinary of Sundanese. This restaurant is open daily from 10 am to 10 pm. The concept of this restaurant is to eat above the pool, surely it will provide a unique experience and special impression, for the visitors of this restaurant. 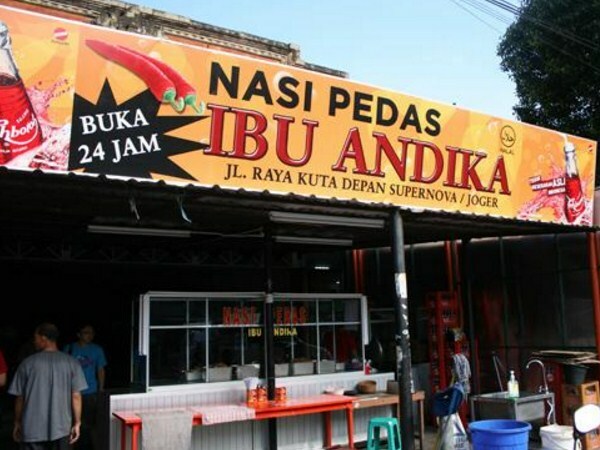 Nasi Pedas Ibu Andika Restaurant is located at Kuta Highway, in the front of Joger Kuta, Kuta, Bali. This restaurant is open 24 hours a day. 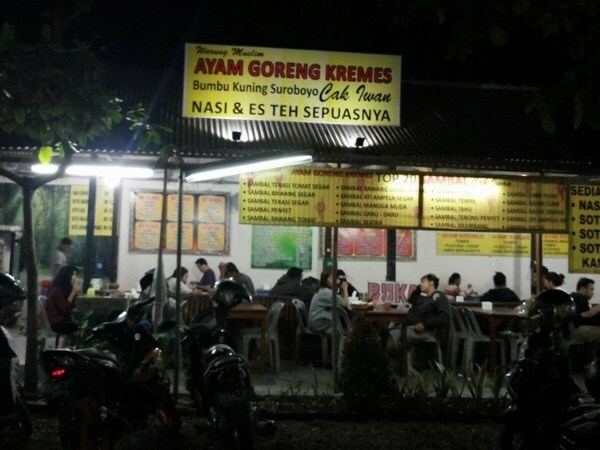 There are a variety of food menu in this restaurant, as well as Ayam Sisit, Fried Chicken (Ayam Goreng), Chicken Satay (Sate Ayam), Fried Noodles (Mie Goreng), Fried Anchovy (Goreng Teri), and spicy sauce (Sambal Pedas) as a mainstay menu. 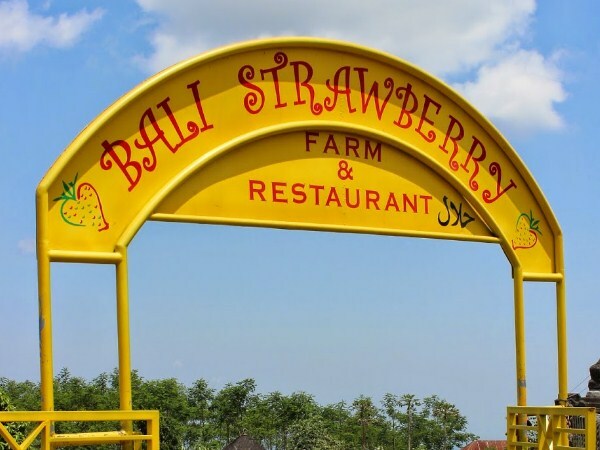 Bali Strawberry Farm & Restaurant is located at Baturiti Highway, Bedugul, Bali. The menu in this restaurant in the form of desserts such as Strawberry Cake, Milk Shake, Strawberry Ice Cream, and others. But, Strawberry Fried Rice (Nasi Goreng Stroberi) is another food menu of this restaurant. For the taste, you can try it by yourself. Mama San Bali Restaurant is located at Kerobokan Highway, North Kuta, Badung, Bali. The mainstay menu of this restaurant is Crispy Lamp Ribs Ginger and Thai Fish Cake. If you visit this restaurant, do not miss those foods, which is the mainstay menu of Mama San Restaurant. Nasi Pecel Ibu Tinuk Restaurant is located at Tuban Highway, in the front of Mandiri Bank Kuta, Kuta, Bali. The mainstay menu of this restaurant is Pecel. This restaurant is open daily from 9 am to 12 pm. Pecel in Nasi Pecel Ibu Tinuk Restaurant, consisting of Spinach, Cole, bean sprouts, Peanuts, and Tempe Crackers. 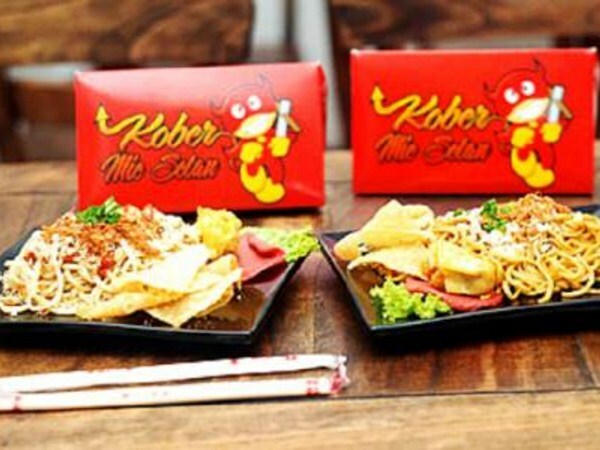 Mie Kober Restaurant or better known as Kober Setan Denpasar is located at st. Bedugul, Denpasar, Bali. The mainstay menu of this restaurant is Kober Noodle (Mie Kober) which has a very spicy flavor. There are several levels of Kober Noodle in the menu table that represents the level of spiciness, the higher the level of noodles that customers ask for spicier the Kober Noodle. 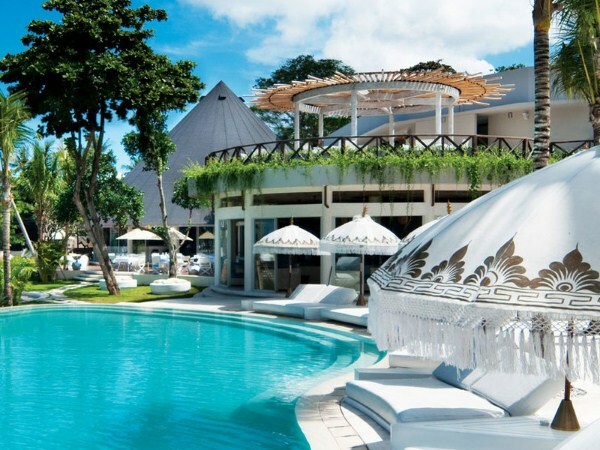 Cocoon Beach Club Bali Restaurant is located at st. Double Six, Seminyak, Bali. The mainstay menu of this restaurant is the international culinary. This restaurant also features beautiful beach views and has a large enough location, so as to accommodate many visitors. 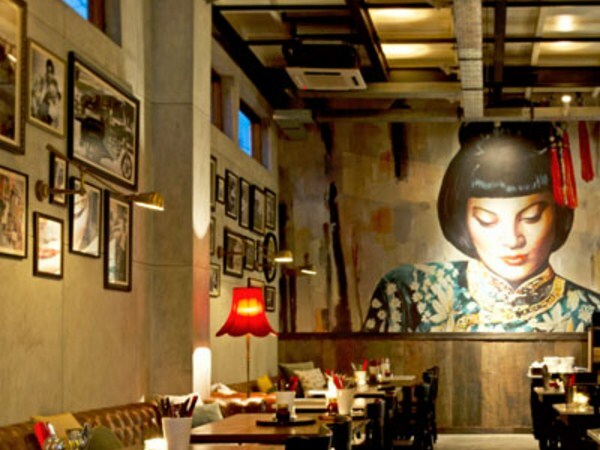 That's the 12th recommendation of restaurants in Bali Island, which is quite popular among tourists. For those of you who are on holiday in Bali, and feel quite confused to find the best restaurant on this beautiful island, try to visit the restaurants that we have discussed above.